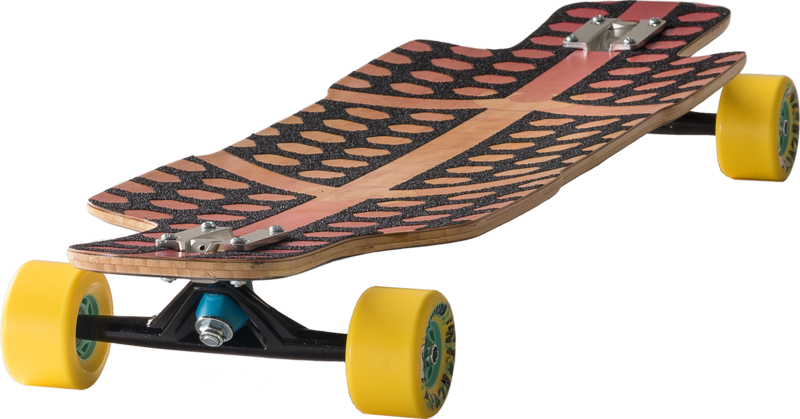 Drop-thru platform, subtle kicks, springy flex, and comfy progressive concave all combine to make a super-fun and easygoing cruiser… or an aggressive freestyle / freeride deck! Standard complete is assembled with 45-degree Aeon trucks, 75mm Landslide wheels, and Tekton Lite bearings. Other component options available (additional charges may apply). 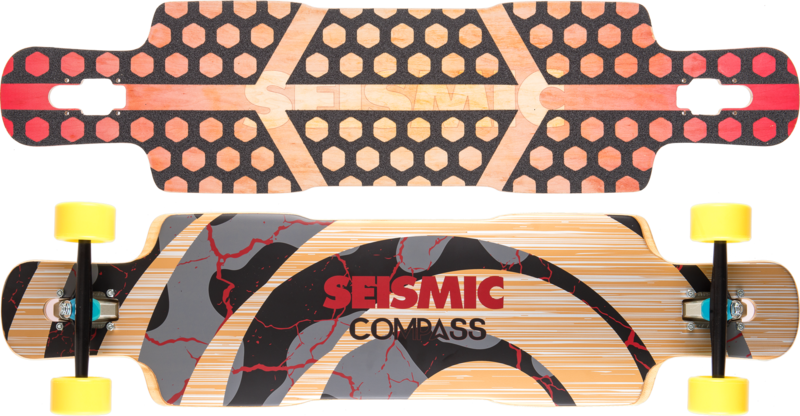 Board pictured with 72mm Tantrums in yellow 79a Elixir – the team’s favorite for this model.